"Project Baseline empowers passionate citizens to observe and record change within the world’s aquatic environments in a way that fosters public awareness and supports political action." 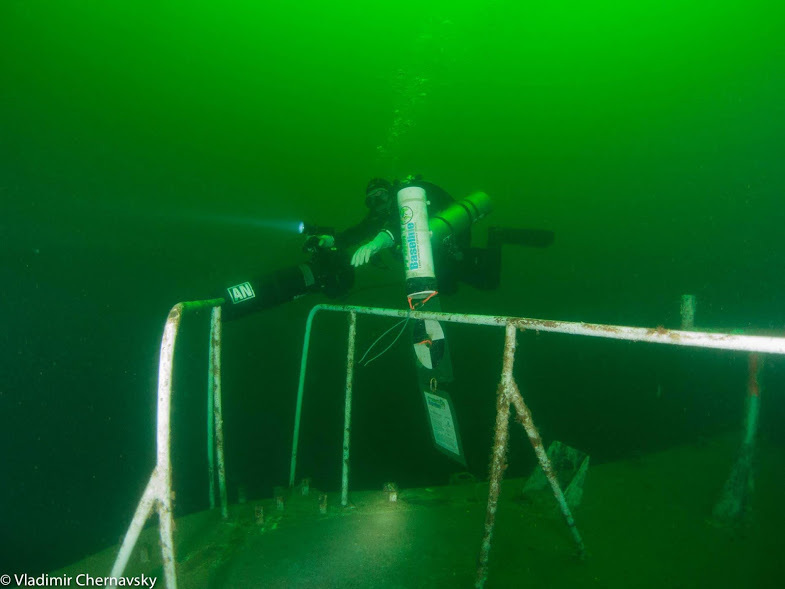 is tracking changes on one of British Columbia’s newest artificial reefs, the HMCS Annapolis by establishing two long-term monitoring Stations on and near the shipwreck. The Stations are constructed of a PVC pipe float, a placard, and a Secchi disk. Project Baseline volunteers continue to work on a collaboration with the Vancouver Aquarium and the Artificial Reef Society of British Columbia on the Annapolis Biodiversity Index Study (ABIS). Since the HMCS Annapolis’ sinking a little more than a year and a half ago, 70+ species have been recorded as the ABIS study tracks species recruitment on the wreck. PB: Halkett Bay volunteers are proud of their accomplishments thus far and look forward to a bright and productive Project in the future! is intended to monitor and document changes in a Vancouver Island marine preserve that attracts many divers due to it's unique location and because it is a single reef system tightly confined and easily accessible from shore. This project will track of the reef's population of Great Pacific Octopus and several species of rockfish as well as record visibility and temperature changes in that location. . The ex-CCGS Ready is an ex-Canadian Coast Guard Ship which sank in an unprepared fashion on January 17, 2011. It lies in approximately 15m of water near Britannia Bay, British Columbia. This is an interesting location, as this region of Howe Sound has long been polluted by runoff from the Britannia Copper Mine. This mine, in operation from 1904 to 1974, subjected Howe Sound to considerable acid rock drainage. Runoff treatment and remediation has been in the mine, which is within 1km of the wreck. The recent, unexpected arrival of the wreck as well as environmental clean-up represents a unique opportunity to observe a marine ecosystem that is reestablishing itself. Project Baseline Saanich Inlet was initiated in 2016 by project manager Christopher Locker and Joakim Hjelm. Our project area is in the Saanich Inlet on Vancouver Island in British Columbia Canada and is a 24 km long coastal fjord. The movement of water is restricted in the Inlet due to a 75-meter sill that protects the deeper waters - a maximum depth of 235 meters. This situation combined with higher organic input from freshwater discharge in the fall creates anoxic conditions below 110 meters (Microbe Wiki, 2017). As a result, the inlet is a popular research area for scientist from all over the world interested in researching the microbiology associated with theses conditions. 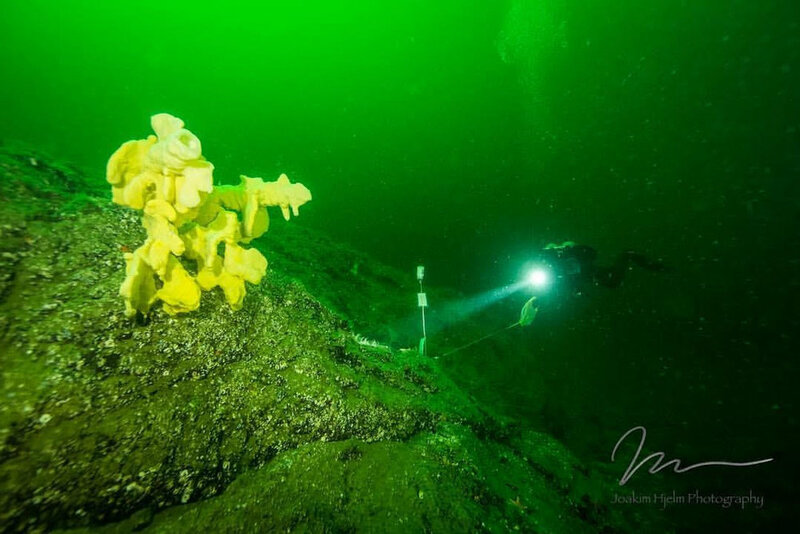 Our main research interest is to use photogrammetry technology to model, document and monitor the glass sponges of the Saanich Inlet. We currently monitor 3 sponges at the McKenzie Bight site and a ship wreck and reef ball at Henderson Point. Recently one of the McKenzie Bight sponges is missing – we suspect that fishing activities are responsible. Our activities have now expanded into an annual lake cleanup and Ghost fishing initiatives. We partner with the local governing body Capital Regional District for the lake clean up and have removed close to a ton of debris from the lake. For Ghost fishing we have removed commercial abandoned crab traps from the Saanich Inlet. Going forward, we would like to expand project sites and site managers. An area of interest is the sponge reef at Senanus Island – close to the Henderson Point Site.